Let me start by saying that mum’s sure there are a million ways to make this dish. She’s sure there are a million ways she’s doing it wrong. She just does it this way because it works for her. If there is an easier/better way please let me know in the comments section because she loves this dish it is just very messy and time consuming to make and would love any shortcuts you may know. 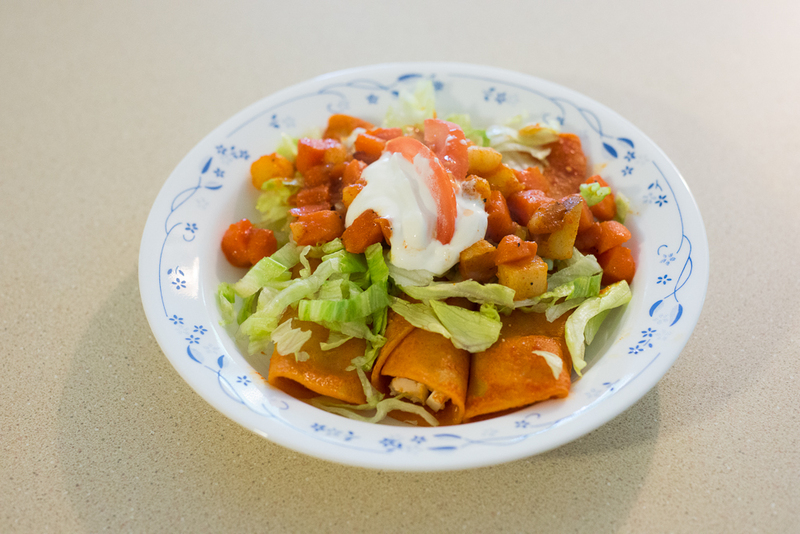 Mum first made this dish, newly married, dad made a comment over dinner one night that he misses his moms red tacos. He sort of explained them to mum and so while he was at work one day she took to online searching (11 years ago, google wasn’t really as good as it is now) and found a fairly simply recipe. Mum decided to give it a go. Here are some tips. The large can of sauce you will have extra. 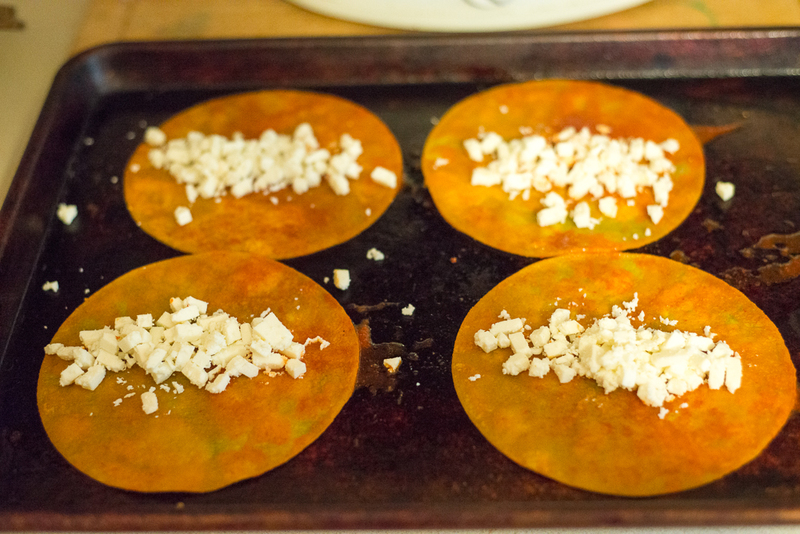 so if you want to make more get two packages of corn tortillas and just keep going…. 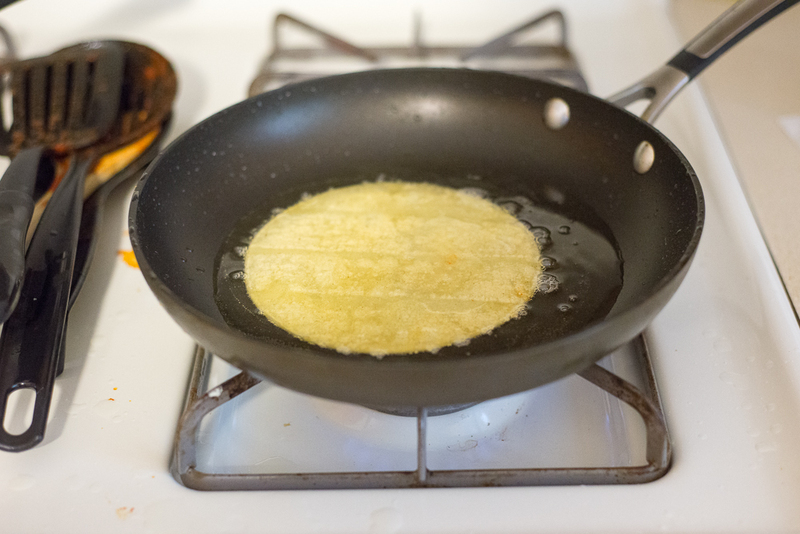 Corn tortillas are very important, not the white ones, you need to yellow corn tortillas. I guess you can use the flour or white corn but the flavor of the dish will change. 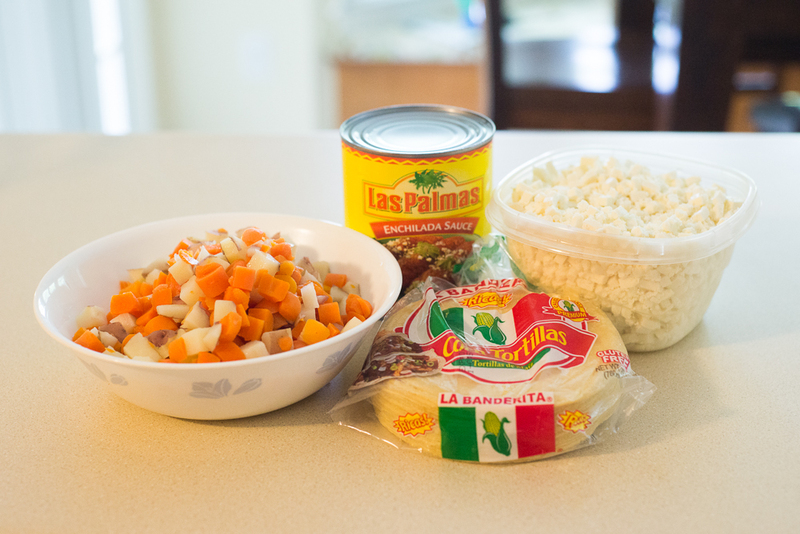 You need to cook the potatoes and carrots in a pan to soften them up before you start cooking the tacos. 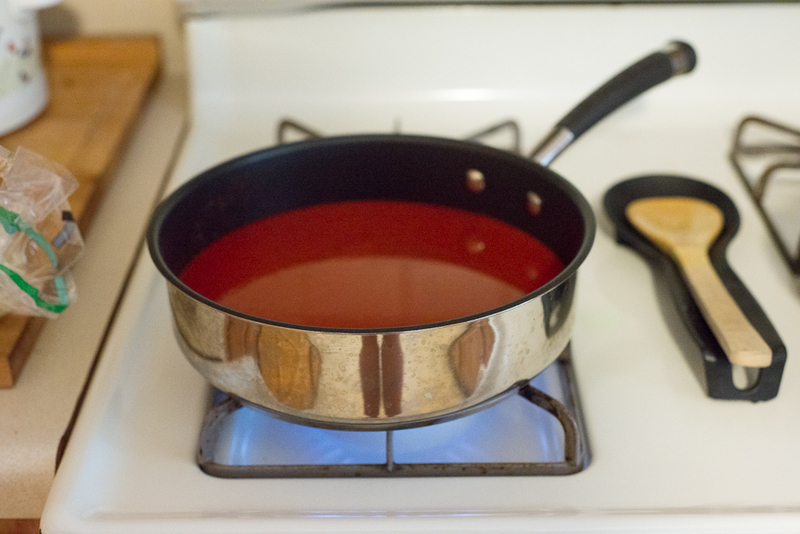 Empty can of sauce into a pan and heat on low. 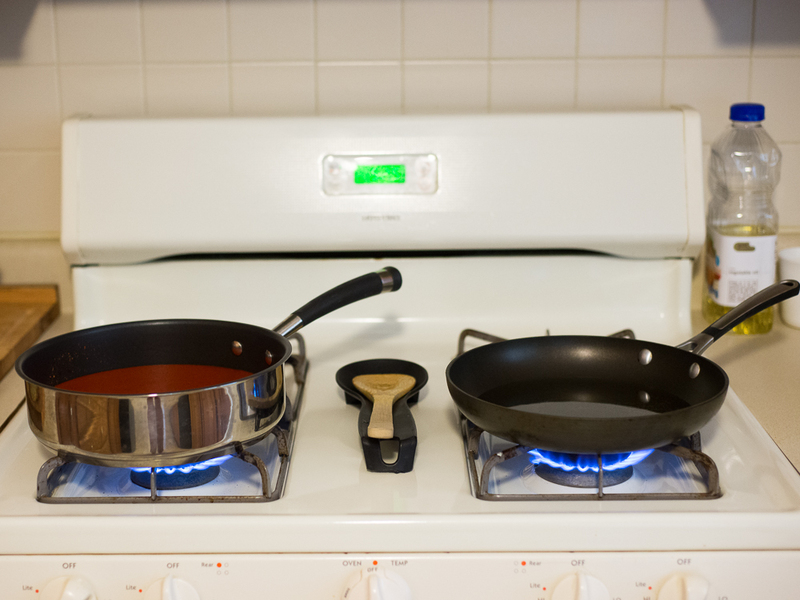 You want it warm but not boiling or it will get thick. 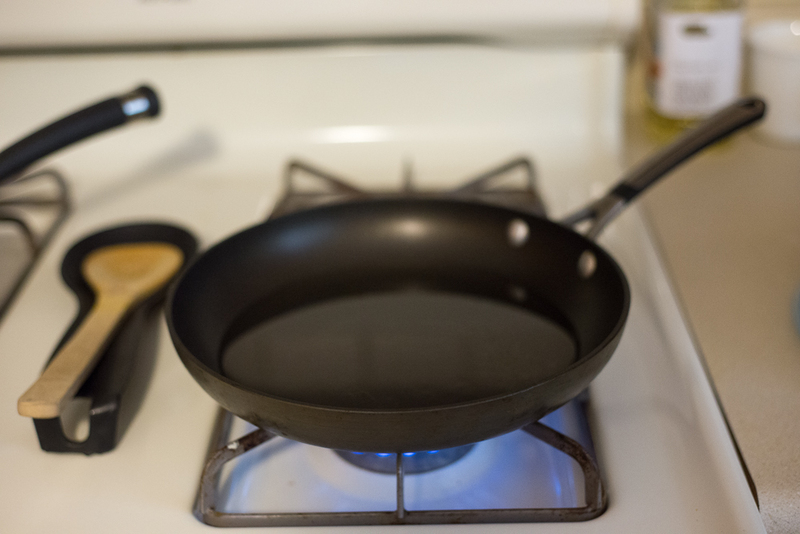 In another pan you want a little bit of oil. Enough to cover the tortilla. Mum knows she does this step in reverse, most people put the tortilla in the sauce first and then in the oil but she just can’t. When she does that mess spatters everywhere, so she does oil first to soften the tortilla and then puts them in the sauce. I guess you could just soften them in the microwave if you didn’t want that oil on your tortillas but again it will change the flavor of the dish. 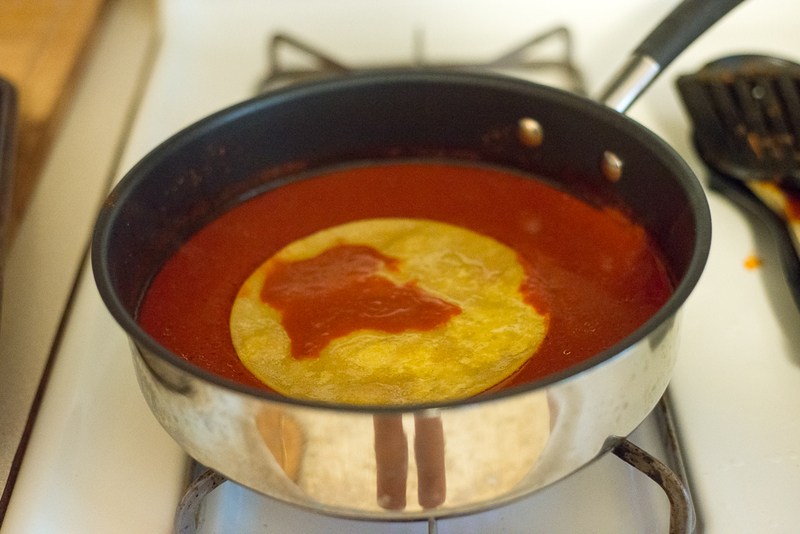 Then she pulls the tortilla out and coats it in red sauce. Leave it in for about 5-10 seconds as well. Mum does this in batches. She gets 4 at a time on a cookie sheet. That way its like an assembly line. 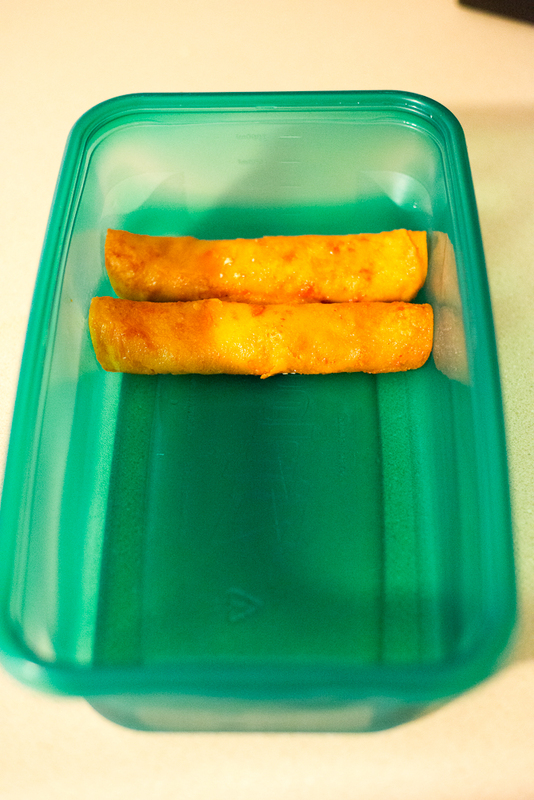 It also allows them to cool a bit so you don’t burn your fingers from hot sauce. Then all you do is roll them up and bam! done. Mum adds onions to some and keeps them out of others. Dad and brother like it with onions, while Sissy and Mum don’t care for onions. After you finish all the tacos, use the remaining oil and fry the potatoes and carrots in the oil for a few minutes, then add the remaining red sauce. 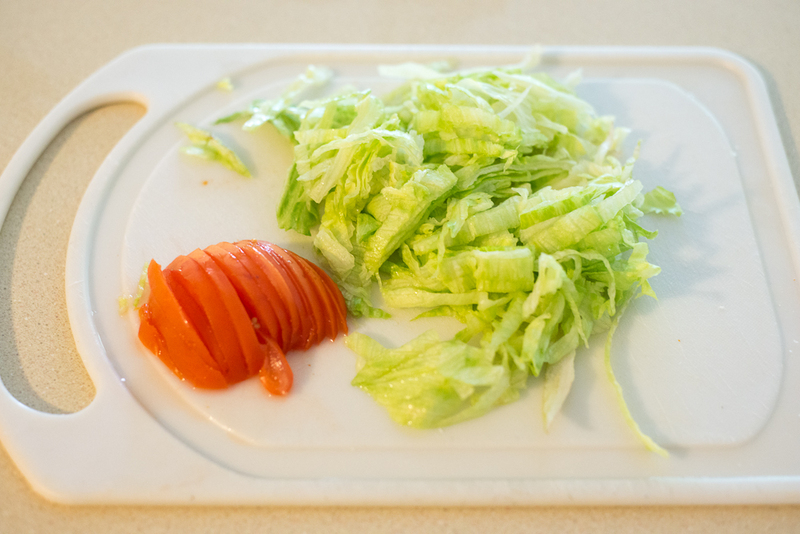 Serving is simple with shredded lettuce, tomatoes, and some sour cream! Mums make as many of these as she can because they are amazing warmed up in a pan for breakfast! They are even better the 2nd day. So enjoy this recipe and mum hopes she took some of the fear out of cooking red tacos in your home kitchen!